As a business owner, especially one in food and beverage, you likely went into business because you wanted to connect with people and be part of the fabric of your community. Being part of community events and supporting charities is a natural extension of that, and something that most business owners want to do as often as possible, and it can be one of the most rewarding things they do. But donating food, services and staff is also something that has costs associated with it, and especially as your business grows, you need to be able to weigh the costs and benefits, and make decisions about where to put your resources when it comes to supporting the community in various ways. In my work as a marketing and events consultant for restaurants, bars, coffee shops, and other food and beverage businesses in the Washington, DC area, I have noticed that there are loads of opportunities to promote these businesses to the community while also supporting excellent causes by participating in fundraising and community events, and making donations such as donating gift certificates or products. Often, there are so many opportunities that businesses need to develop a strategy for deciding which events they can participate in, and which they have to pass up, because they simply don’t have enough staff to cover them all, and because the expense of doing these events can add up and slice into their already thin margins (even if vendors help offset some of the costs by donating ingredients). “In DC there is an infinite amount of food events, we have a ton of charities, and every one is important. They are all incredible causes, but you can’t do all of them. 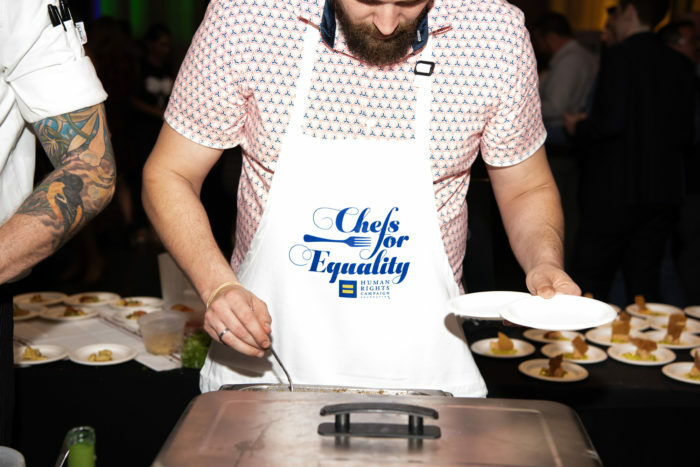 Pick the four that you are going to do, and devote yourself to them,” advises Nycci Nellis, founder of The List are You On it and co-host of Foodie & The Beast, and co-chair with David Hagedorn and Amber Pfau of Chefs for Equality, one of DC’s largest and most successful food events. “What causes are near and dear to your heart, what causes are you passionate about? 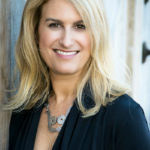 Having that connection to whatever it is that you are supporting is going to make the job that you do in terms of marketing and executing that much more rewarding,” confirms her Chefs for Equality co-chair Amber Pfau, Chief Strategy Officer for Neighborhood Restaurant Group, one of the most prestigious and civic-minded restaurant groups in the DC area. (Pfau also operated her own public relations firm for the restaurant industry for 10 years in the DC area before joining NRG). Support causes they care most about and are well aligned with their brand. Once a business does make the decision to take part in a charitable event, either through a donation of a gift certificate or an experience, or by providing a “tasting” of food or drinks at the event (often hundreds of samples), I find that very few businesses take the next crucial step: making these donations a successful marketing opportunity, as well! I have consulted with top experts in the restaurant industry, including those from some of the most successful restaurants and restaurant groups in the country, and used my own experience and observations, to share advice on how to make charity and community events good marketing opportunities, as well as good deeds. After all, restaurants are businesses, and as much as they want to do their part for the community, they also need to succeed financially in order to continue to serve the community. 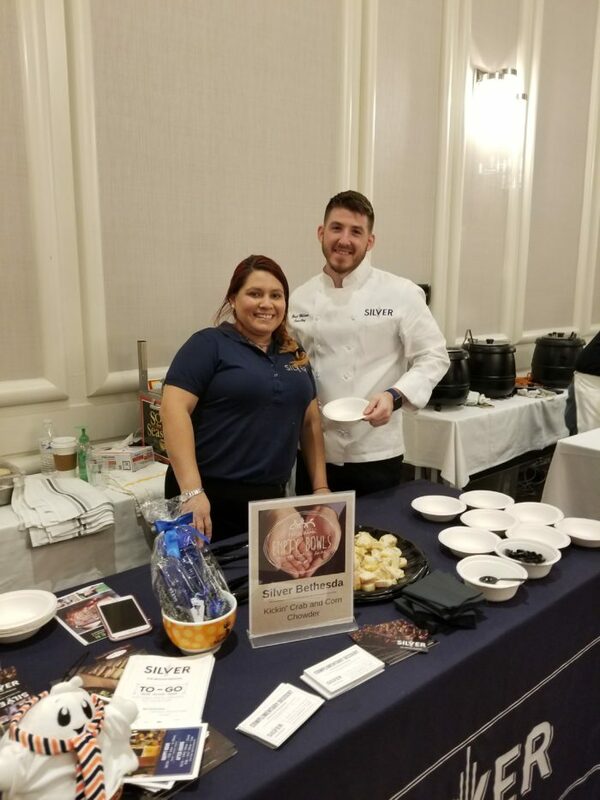 Top 12 Ways To Successfully Promote Your Restaurant, Bar, Or Food Business At Charity Events And Community Events To Drive Brand Recognition And Sales. 1. Make a great impression! 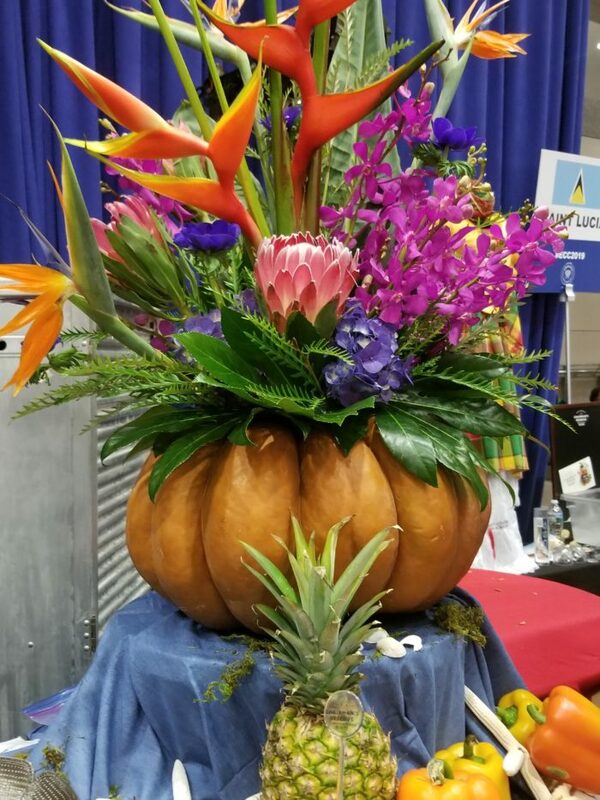 Serve a bite or drink that will wow attendees and represents your brand. “Come with something interesting. It’s a good way to showcase your talent, and it does drive business,” suggests Nellis. 2. Put thought into your presentation, including the table itself. “There could be 50 or 60 restaurants there; you don’t want to be the one that doesn’t have their table set up nicely. Table presentation is very important for the average consumer. Do you have food items, flowers, a basket of lemons?” asks Pfau. 3. Bring enough staff to execute AND build relationships, including, especially, the chef and general manager and/or events person. You need people to get the food prepped and served, but you also need outgoing staff or consultants to engage with the guests to build your brand and drive future business. “That is the #1 thing that will help you get return business,” emphasizes Pfau. 4. Bring a tall portable popup sign with your business’s name and branding, including social media handles. You’ll be able to use this over and over. “I go to quite a few charitable events, and I appreciate it when restaurants and chefs make it easy to find them on Twitter and Instagram. I often can’t highlight a participant on social media…because I have to stop and look them up,” according to Lori Gardner, author of Been There Eaten That, a popular blog that covers restaurants and food events in the DC area. 5. Bring a clear standing table sign with your restaurant’s name, address, logo and social media handles for extra brand recognition. Bring another one with your menu and bring some extra menus for those who request them. 6. Collect business cards for a raffle for a gift card to your restaurant so you can add people to your mailing list (you do have one, right? ), and have some blank cards people can fill out if they don’t have business cards with them. Also, bring some business cards for your restaurant’s GM or event planner in case guests want to book parties or events down the road. 7. Bring generous and branded “bouncebacks” or coupons (make sure these are also on brand) to drive guests to your business after the event, such as $10 off a meal, or a free small plate, dessert or drink, with an expiration date that is no more than 60 days out. 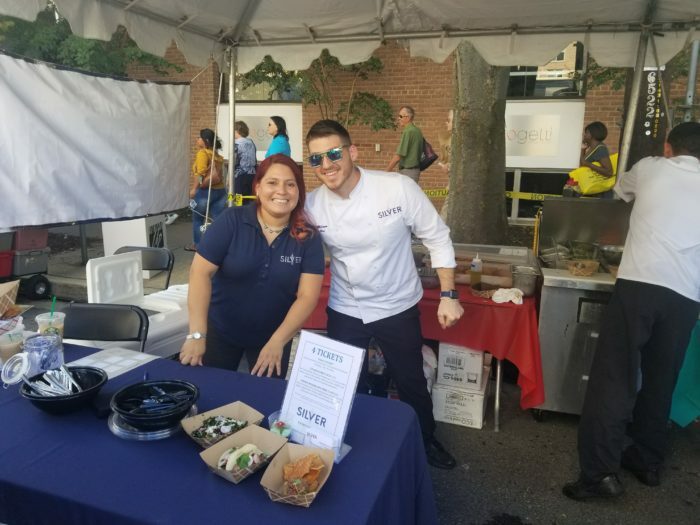 Remember to distribute coupons to volunteers and other servers/chefs at the event—they are likely to be your customers, too! 8. Have your team wear aprons or shirts with your business’s name and logo for additional brand recognition and for branding in photos. And consider investing in a branded tablecloth, as my client Silver New American Brasserie does, if you do a lot of events. 9. Do social media before, during and after the event to highlight your participation in the wonderful cause, and tag the charity, other participants (such as the venue, other vendors, etc.) and use the event’s hashtag, for more reach! (Remind the organizer if necessary, to share the handles and hashtags in advance). And don’t forget to put the “social” in social media! “I really appreciate it when a restaurant or chef comments or reposts my photos. I want to give them increased visibility and appreciate it when they do the same,” notes Gardner. 10. Get the organizers to post on social media, too! “Ask the event organizers if they can thank you on social media for participating. A picture from the event taken by the event photographer or organizer is an easy way for them to accomplish this. Having a post on their official account expands the restaurant’s promotional reach, puts a halo of goodwill around it, and creates a piece of content you can easily repost,” suggests Nevin Martell, food and travel writer, cookbook author, and photographer, who organizes and attends many food-related events in the DC area. 11. Marketing doesn’t end when the event does: “Ask the event’s organizers to follow up with participants after the event with an email blast thanking the participating vendors, along with links to their homepages or social media pages. This expands the restaurant’s promotional reach,” adds Martell. 12. 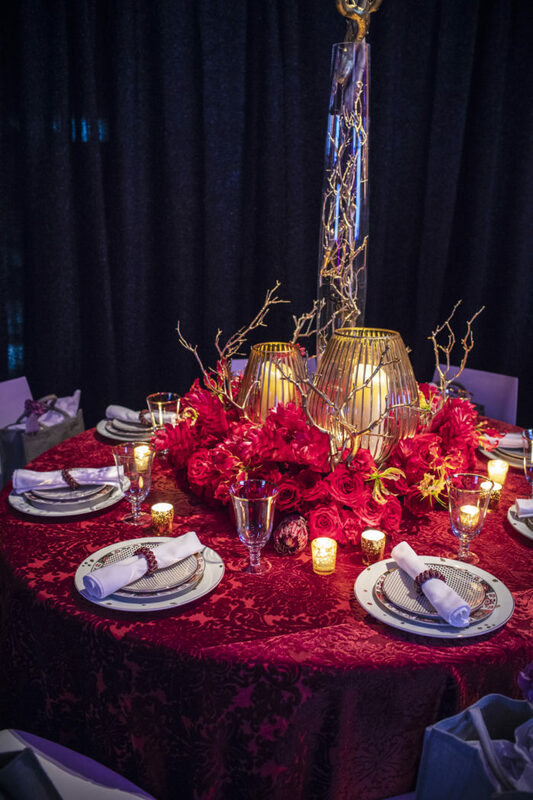 Consider asking the event’s organizers about lighting so guests can photograph your beautiful food, drinks, or products, and share them on social media, or consider bringing additional lighting for your station. “It’s next to impossible to take good pictures when it’s completely dark,” according to Lori Gardner. Restaurants and other businesses grapple with how to handle requests for gift certificates from charities, and it’s probably the charitable request that restaurants get the most often. Such donations can be a good way to bring in new customers, but it also can be costly, and there is usually no way a business can donate a gift certificate to everyone who requests one. Just as when you are deciding which events to participate in, be strategic with these donations, too. Consider who is requesting the gift certificate, how they are asking, and what your business’s connection is to the cause. For example, if a regular customer asks for a donation to an event the are involved in, it should be an easy yes, because you are supporting someone who supports your business. Likewise, if the requester makes a good case for why your restaurant should donate to this particular cause or event, such as that it is connected to your customers or to your nearby community, it likely makes sense to say yes. “There should be a reason they are asking this restaurant rather than another one,” says Pfau of Neighborhood Restaurant Group. How Gift Card Donations Can Drive Business: When organizations ask for gift card donations, include coupons or bouncebacks for your restaurant with the donations and ask them to put them out at the event with the donation or by the coat check table. Also, ask the charitable organization if they have any events, meetings, or fundraisers coming up that would make sense to book at your restaurant or for which they can order your products, if you sell beverages or other food products. A note to those who ask restaurants and other businesses to donate: Please remember to thank them both personally and publicly for their generosity, and most importantly, thank them by patronizing their business and telling others to do the same! Just as with other forms of marketing, charity events and donations are opportunities to extend your relationship network through multiple channels, including personal, email, and social media, that ultimately create another important extension of your restaurant and your brand. I hope these ideas help you think of community and charitable events not just as a way to give back, but also as marketing opportunities to grow sales and engagement for your business, so that you can maximize your investment in them while supporting your community. Author’s Note: I am grateful to Matilde Ott, Director of Marketing for Silver Diner and my client, Silver New American Brasserie, and Veronica Sabana, store marketing director for Silver, for being innovators and industry leaders in restaurant marketing, and sharing some of the above tactics as well as many other lessons and strategies with me over the years that we have worked together. 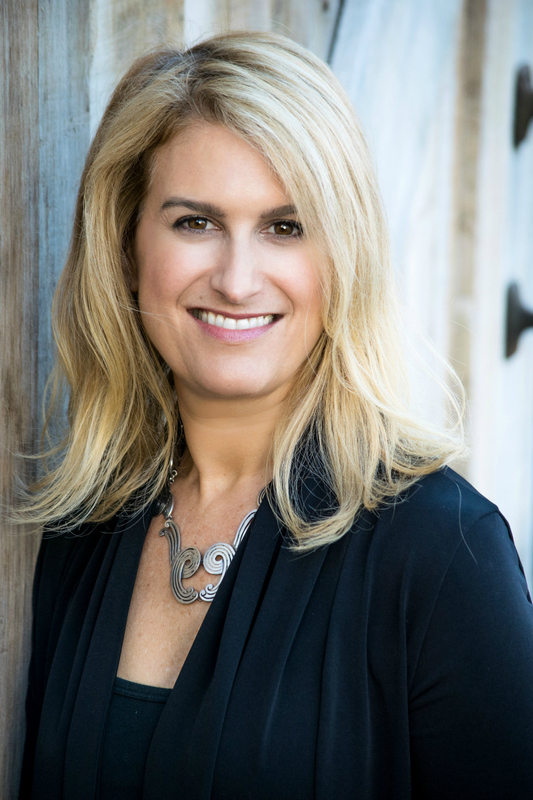 Aviva Goldfarb is a marketing and events consultant and business coach for food related ventures and a nationally published freelance writer about food, parenting and travel. She helps food, beverage, and lifestyle businesses market their products more effectively to increase sales and improve customer loyalty and engagement. She is also a private business coach for female entrepreneurs. She is an active member of Les Dames d’Escoffier Washington, DC chapter, an invitation-only philanthropic organization of women leaders in the fields of food, fine beverage and hospitality.